Columbus Modern Quilters: It's almost time for the May meeting! It's almost time for the May meeting! How is everyone doing on their UFO challenge quilts? If you've done anything, you're ahead of me! My UFO is still sitting as a stack of un-cut fabric on my cutting table! I should probably get to work on that, so this will be a short blog post! May is the month to bring your COMPLETED UFO challenge project and our special guest judges will be on-hand to choose the winners. There will also be prizes for those of you that don't finish your UFOs. What do you think? Will I finish? I'm probably destined for a "Jaclyn" prize! As a reminder this month's meeting will be held on Wednesday, May 28th at 6:30 at Quilt Beginnings-North. Click here for detailed directions from the Quilt Beginnings website. The sweet gals from Quilt Beginnings will also be our guest judges for the UFO challenge and will be sharing some of their insights from Quilt Market in Pittsburgh last week. I can't wait to hear more about what their little shop has planned for the summer. 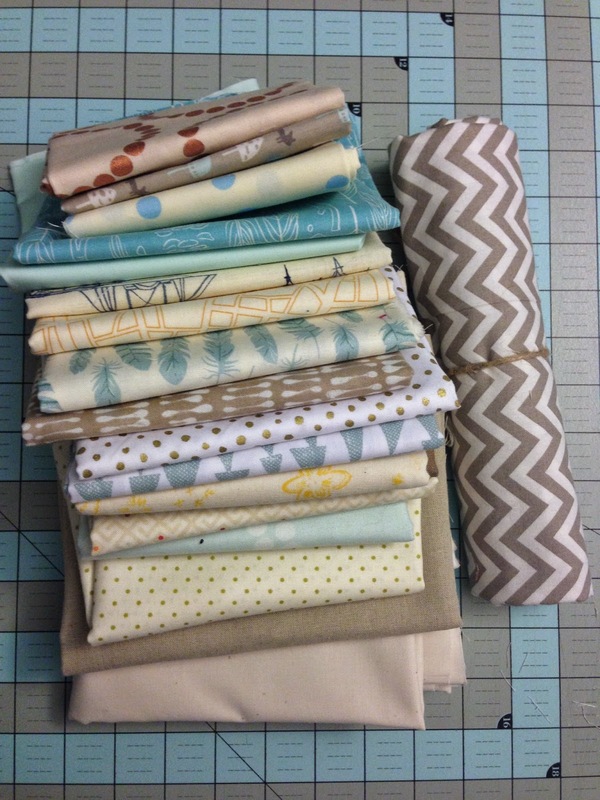 Aren't we lucky to have so many great fabric shops in Columbus? What else do you need to bring to this meeting? Make sure to bring your UFO, and any and all outstanding bee blocks. We have lots on the agenda for this meeting, so there likely won't be time to share other projects you've recently completed, but feel free to bring them along just in case. Have I reminded you enough times to bring your UFO challenge to the May meeting?